The Central Maine Twirling Corps program offers baton twirling classes for children ages 5-22, all levels and abilities. Twirling classes are offered annually in a series of six consecutive six-week sessions (total of 36 weeks) throughout the school year. The program is progressive, not repetitive. Class length and frequency is determined by twirler’s age, experience, and level of involvement in the program. Class assignments are determined for each twirler by the instructor. Each week twirlers work and build on the basic fundamentals of twirling and marching, and incorporating these fundamentals into individual and team routines. Twirlers also prepare for local performances in parades and community events as well as competitions, and the annual Central Maine Twirling Corps Recital held each spring. The Main-E-Acts are those twirlers that demonstrate supreme dedication to their chosen sport of twirling, and wish to grow their experience through regional and national competitions and performances. Members of the Main-E-Acts Team are by chosen by the coach and invited to participate after consultation with both the twirler and his/her parents. 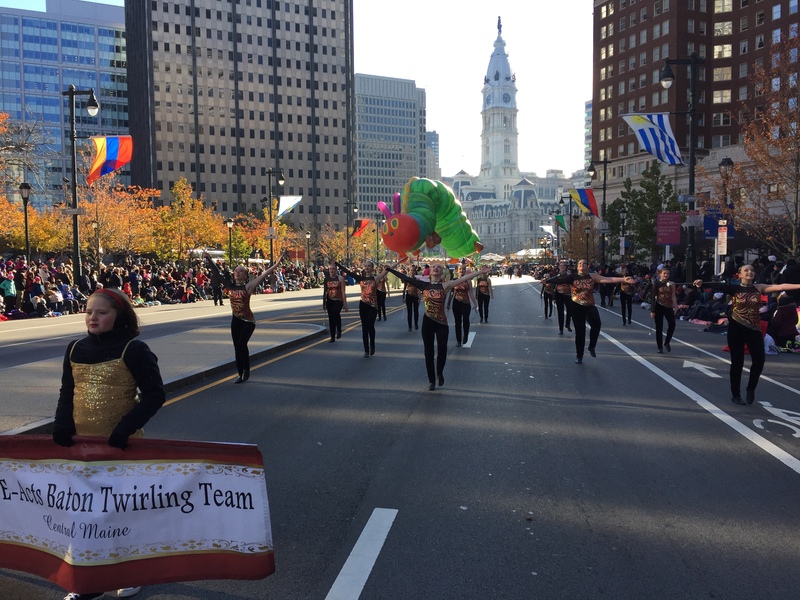 We are now accepting registrations for the 2018-2019 twirling season! Balanced batons may be purchased at class, as well as practice attire and equipment for returning students. Further class and program information is distributed upon registration. For questions regarding registration, please contact us. Through participating in the art and sport of baton twirling, your athlete will acquire qualities and skills that will stay with him or her long after the baton is put away: confidence, self esteem, sportsmanship, teamwork, dedication, self motivation, hand and eye coordination and physical fitness!